I am the worst kind of person.....to quote a certain English accented toodler called Stewie (all Family Guy fans will know.....if you truly are a fan, lol). My Brother is married almost 2 years and I STILL haven't showed everything I made for his Wedding. I'm terrible. But because I had so much to make and as you know, when it comes to weddings a lot of things are left pretty much to a week or a few days beforehand, I was a little under pressure.....and Numb-nuts here forgot to take detailed photos of everything made to share on her blog. Sure I took some fleeting photos just before they were about to leave my door....but really Lee, what kind of a Blogger doesn't take proper blog photos? I've disappointed myself...tutt, tutt, tutt! I am such a numpty. Whilst I tried to salvage photos from here, there and everywhere, I wrote a post with everything I used for the Wedding with links to where I bought everything. But I didn't have all the proper photos. 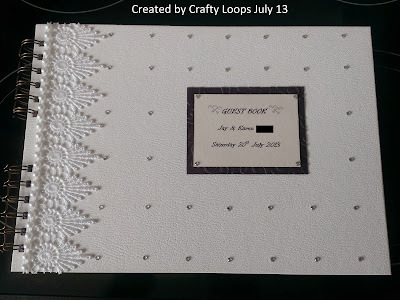 The post ended up being pretty long because I did everything paper related for their wedding and I didn't want to bore you all with my ramblings, especially considering I didn't take decent photos. Oh and yes, his Wedding Invitations were gorgeous if I do say so myself.....did I take proper photos that weren't done in the spare of the moment? No, of course not. But I will try and sort something out to show you those soon. In the meantime, I may show bits and pieces every so often to show you the items I actually do have photos for, even if they aren't the best quality **Smacks oneself on the forehead**. 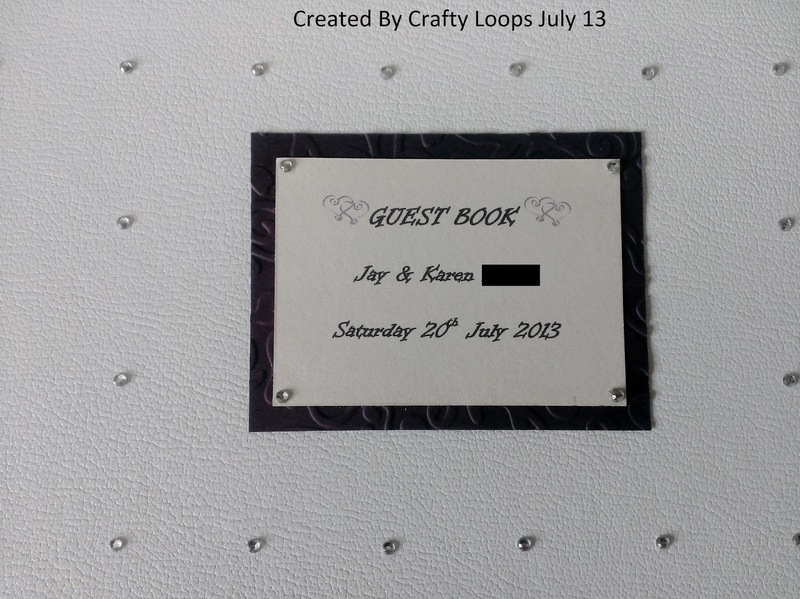 I made the Guest book for their wedding and this is how it turned out. 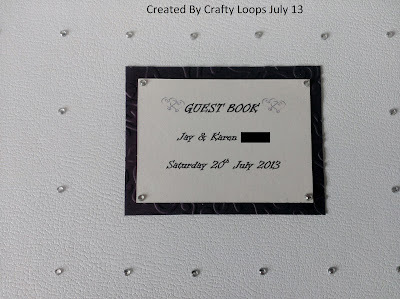 I was overjoyed with the Guest Book. I think it turned out so well. Karen didn't want anything too plastered or over the top girlie. Just elegant and modern. 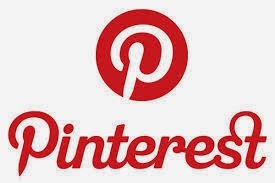 I think I achieved that ok. After much Pinterest browsing for some inspiration, this is what I made for them. Sorry you can't quite make out the colour, but that embossed card is a deep purple colour. 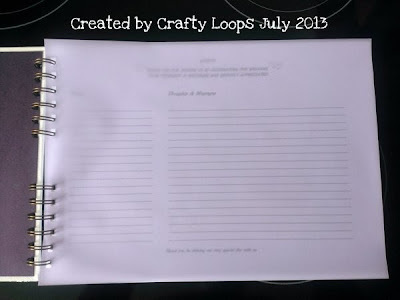 I used my Zutter Bind-It-All to bind the book using Antique Gold coloured 3/4 inch O-wires. This purple card and embossing folder was used throughout the Wedding Stationery and other items (using Sizzix Swirly vines with hearts embossing folder) and Ivory pearlescent paper with a hint of gold in it. 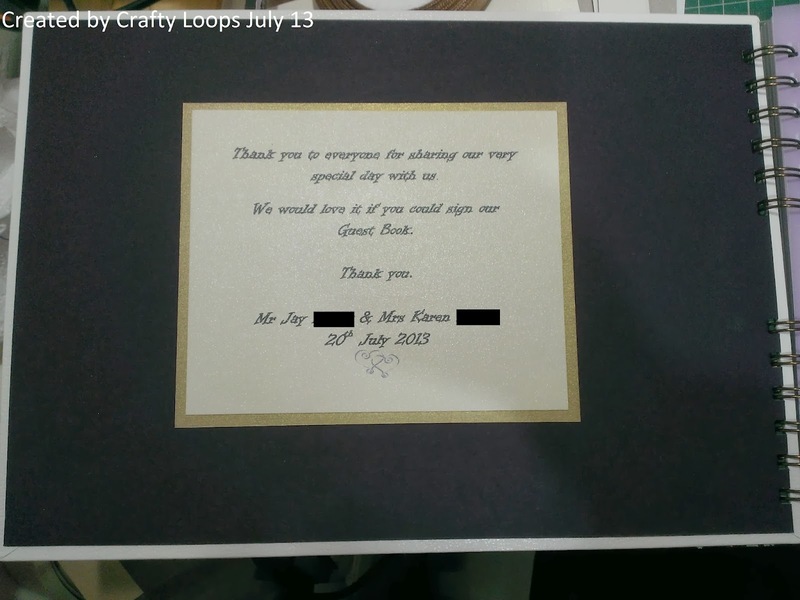 I printed the purple hearts motif to either side of the "Guest Book" section, as that motif was also a running theme throughout the Wedding Stationery. 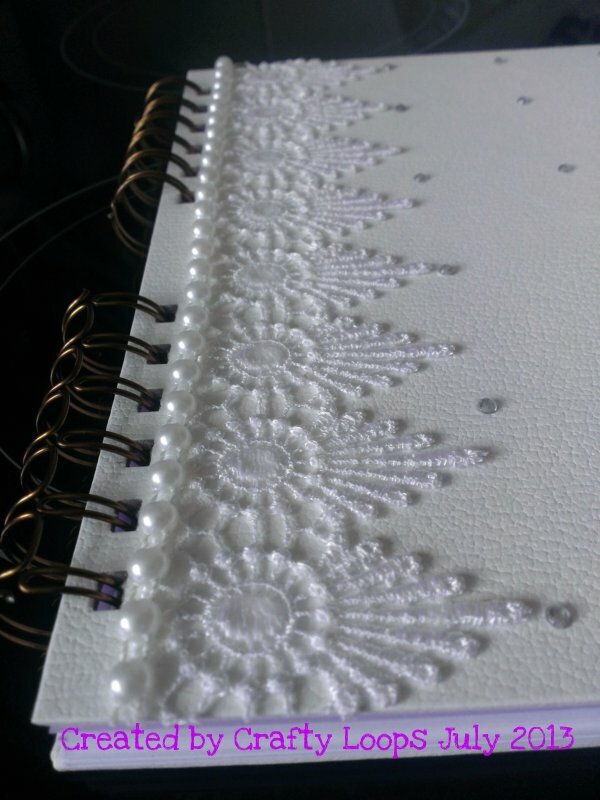 This was covered with white Bookbinding Skivertex. The inside page was simple and again kept to their colour (deep purple & gold) scheme and heart design. Again I'm sorry the colour is so bad on the photos. 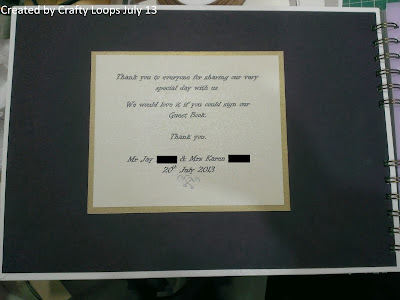 I used the same deep purple cardstock from PDA card and crafts. I decided not to add gems or pearls to the corners of the inner page's thank you note as I didn't want them restricting the albums ability to close properly or making pearl sized dents on the cover page, so the inside cover was not embellished at all. I added this beautiful Guipure lace down the side, along with some flat backed pearl trim. I added all the individual flat back diamontes onto the front of the book also. Although they were self-adhesive, I was aware that this book would be handled a lot throughout the wedding day and beyond. So I didn't really trust the self adhesion on the diamontes. Therefore, I added a little bit of Glossy Accents to them also and those gems were going nowhere, lol. To protect the first writing page from smudges or marks, I added a piece of light purple vellum to the book. 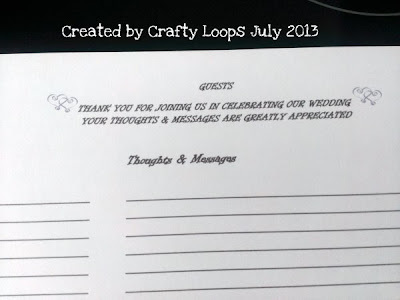 Again the Guest Book carried on the heart theme and the same font was used throughout the wedding. I kept the actual book very simple with plenty of pages and lines for people to write on. The pages are actually 300gsm super smooth cardstock which was nice and sturdy to write on. I want this book to last. And as always, that's it from me folks. Apologies for only showing the Wedding items now. But I will eventually get around to showing everything.....or as much as everything as I can manage to salvage from rough and ready photos, lol. Any questions, just give me a shout. It's an oldie but a goodie. You know those days when you are randomly going through your laptop, looking at old videos and photos and then you come across a half edited video from 3 years ago that you forgot to post? No? Is that just me? Well, that is what happened here. I forgot to post the tutorial on how I made these Ruby Slippers shoes.....almost 3 years ago. 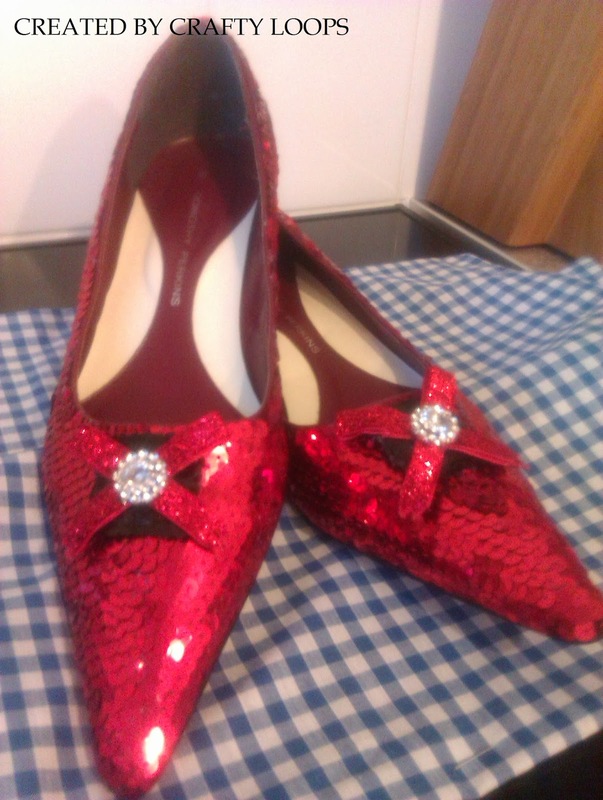 So without further ado.....and waffling much more, because it could end up being another year before this is posted.....here is the video of how I created a pair of ruby slippers for my wee Skin and Blister (that's good ole Cockney rhyme for Sister). And as always, that is it from me today Folks. Hope to see you around my Blog neighbourhood soon. Any questions, please leave in the comment section below and I will do my best to help you.